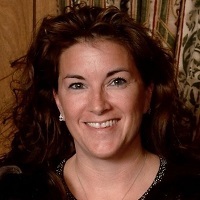 Donna Bibber, Vice President of Business Development, Isometric Micro Molding, Inc.
Donna Bibber has assisted in over 1,000 micro molding and assembly device programs. Ms. Bibber’s plastics engineering background, expertise and unique problem-solving skills earned her an excellent reputation and is recognized nationally and internationally for her work in micro manufacturing. Her expertise in intraocular implants, bio-resorbable polymers, and PEEK implants gave rise to many new devices commercially available today.